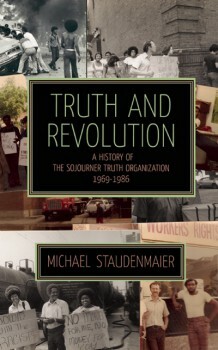 Michael Staudenmaier’s Truth and Revolution: A History of the Sojourner Truth Organization, recently published by the radical AK Press, is a thoroughly engaging critical history of one of the most interesting revolutionary socialist groups that emerged from the radical upsurge of the 1960s and 1970s. While Staudenmaier clearly admires STO, many of whose members he knew and several of whom were his friends, this is far from being a hagiographic work. The author presents the group with all its foibles, it many frustrations and its ultimate failures, without ever letting us forget that what he admires about this group was its attempt to develop socialist theory while also being deeply committed to organizing and struggle. It is not surprising that this book is being widely read by many of the new non-state socialist groups such as Advance the Struggle and the Black Orchid Collective that have arisen out of the social movements of the last decade and become visible through their work in the Occupy movement, for today they are striving to establish a theory and practice just as STO did—-and just as many other groups from a full range of left perspectives did-—in the 1970s. While there are now a pile of books about the party-building efforts of the 1960s and 70s, Staudenmaier’s is the most interesting one I’ve encountered. Perhaps I like this book so much in part because I lived in Chicago in the 1970s and knew a few of the STO members and always liked them. I was a member of the International Socialists (IS) and some of our members worked in the International Harvester tractor plant with some STO members and our two groups often collaborated, and sometimes differed, on workplace and community issues that arose there. Though STO formed part of the New Communist Movement and the IS had come out of the Trotskyist tradition, our groups overlapped in many of our political positions and in our work. We shared not only labor and community organizing experiences, but also found ourselves over the years involved in the same movements for international solidarity with the initial revolution in Iran in 1979 and with the Central American national liberation movements of the 1980s, and we shared preoccupations with the issues of African American struggles for civil rights and social justice and women’s fights for equality and liberation. Like STO, we in the IS wrestled with the problems that arise in a political organization from young people’s passionate personal relationships, with the issue of parenting and childcare, with the problems of leadership “heavies” who often seemed to make decisions without adequate consultation with the ranks. I think that anyone who was active in the left of the 1970s in almost any group would recognize themselves in parts of the STO story, and that new groups arising today will profit from Staudenmaier’s thoughtful examination of STO’s history. 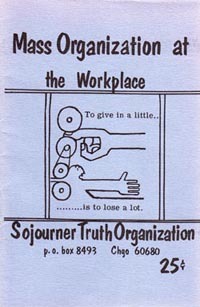 The Sojourner Truth Organization was founded in Chicago in 1969 and Chicago remained its headquarters throughout its history, though in the 1970s and 80s the name was also applied to a network of organizations in cities mostly in the Midwest affiliated with and largely led by STO in Chicago. Several initial founders, who remained its leaders throughout most of its history, came out of Communist Party backgrounds. Don Hamerquist had been an outstanding young leader of the Communist Party who some believed would succeed its longtime chairman Gus Hall, but after attempting “to lead a coup in the party” and failing, he quit. Noel Ignatin (later known as Noel Ignatiev) had also been a Communist, but had left the CP with Ted Allen and Harry Haywood to found the Provisional Organizing Committee to Reconstitute the Marxist-Leninist Communist Party (the POC). Carol Travis was the daughter of Bud Travis, a Communist Party leader in the seizure and occupation of the General Motors plant in Flint, Michigan, by autoworkers in the strike of 1936-37. Many of the STO founders had also been members of Students for a Democratic Society (sds) and one had been a member of the Black Panthers. While STO formed part of the New Communist Movement, largely made up of Maoist organizations, it was from early on influenced by the C.L.R. James who had come out of the Trotskyist tradition. Then too, Ken Lawrence had come out of the Industrial Workers of the World (IWW) experience, and brought the syndicalist idea into the group. Though its initial founding core had one African American and one Latina woman, both soon left the group and throughout most of its history STO was an all white organization. What STO’s founding members had in common was a desire to build what they understood to be a Leninist organization based on independent workplace organizing and a belief that to do so they would have to challenge the racism of white workers. The notion of the importance of organizing workers had its roots in Marx and Lenin, but it had taken on a new sense of urgency and possibility as a result of the May-June strike in Paris in 1968, the “hot autumn” of strikes in Italy in 1969, and the massive strike wave in the United States in 1970. Unlike other groups in the New Communist Movement, the International Socialists, the Maoist “parties,” and other groups that had gone into the workplace to build rank-and-file or reform caucuses within the unions, STO argued that it was necessary to build completely “independent workers’ organizations” that would not be part of unions and would not contest to control union structures and offices. The theory of independent workers’ organizations (or workers councils as they were sometimes called), principally crafted by Don Hamerquist, was one of the two distinctive theoretical and strategic ideas developed by STO. The other idea that STO developed and popularized was “white skin privilege,” a theory first suggested by Noel Ignatin and Ted Allen (not an STO member) in a paper called “The White Blindspot” originally written for a debate in sds in 1967. (Actually Allen had used the term in 1965 in a piece commemorating John Brown’s raid on Harper’s Ferry; the kernel of the idea came from W.E.B. DuBois Black Reconstruction in America, 1860-1880.) White supremacy, they argued, was largely founded on white skin privilege, a set of real social and material benefits that accrued to those deemed to be white, from preferential treatment by government and police to first hired and last fired in the workplace. White skin privilege was seen as the principal obstacle to unity between black and white workers. STO argued that in the course of labor and social struggles, whites would have to repudiate their white skin privileges and show support for the struggles of African Americans and Latinos, and that by doing so, unity between white workers and workers of color would make possible a united proletarian struggle to overthrow capitalism. While independent workers’ organizations and white skin privilege were the two key ideas that distinguished the STO from other left organizations, during the 1970s and into the 1980s, the group also developed other positions that differentiated it from the New Communist milieu out of which it had come. During the 1970s Hamerquist and Ignatin wrote important documents breaking with Stalinism: they repudiated Stalin, they rejected the notion that Khrushchev or his successors had reformed the Soviet Union, and they rejected the idea that China or Cuba were socialist states, arguing that all were state capitalist. No doubt the influence of C.L.R. James had been important in leading them to this conclusion. They also rejected the Stalinist forms of party organization, arguing that most of what the left called Leninism were actually undemocratic structures and practices that would better be called Stalinism. Finally, STO had throughout its history a very healthy concern about the relationship between a cadre organization or a political tendency attempting to build a revolutionary party and the movements, usually small but sometimes mass movements, in which it worked. Later in the 1970s and early 80s, STO would characterize this question between what we call in my tradition the issue of “party and class” as the issue of “autonomy.” This notion of autonomy is perhaps what Staudenmaier values most in the STO experience, though as he would be the first to admit, nowhere did the group succeed in either adequately explaining the theory or in working it out in practice. Autonomy was for STO, as it has been the other groups on the left, a slippery concept expressing the high ideal of freedom of thought and action for a social group, but constantly entangled in the questions of organizational structure, leadership, and program. Staudenmaier provides a useful chronology of the STO’s activities: from 1969-1975, workplace organizing; from 1976-1980, anti-imperialist solidarity; from 1980-1986, tendency building and direct action. During the first period of workplace organizing, STO grew to fifty members in the Chicago area, many of those members engaged in organizing in factories in Chicago and for a while in steel mills in Gary, Indiana. In those workplaces STO often put out factory bulletins with names like Talk Back and Breakout! as well as its newspaper Insurgent Worker. STO, and the several lawyers in the group, also became involved in assisting workers in plants where it did not have members. While STO was sometimes involved in heroic and inspiring struggles, as Staudenmaier’s account makes clear, the group’s labor organizing activities seldom led to the formation of stable groups in workplaces. In part this was due to STO’s refusal to run for union office—though it did sometimes tacitly support reform candidates in the unions. Though many STO members were in unionized workplaces, the union was not an arena of struggle for the group and consequently it could not turn its workplace struggles into institutional victories that might have changed the character of the unions. This problem was exacerbated by the fact that in many of the larger workplaces in Chicago, such as the Stewart-Warner plant, STO was only one of several left groups—-from the Communist Party to the New American Movement from Maoists to Trotskyists-—that had organizers in the plant, often with their own bulletins and newspaper. STO’s refusal to permit its members to run for office led to splits in the organization, as several of its best organizers, such as its leaders of the Latino caucus at the International Harvester plant, left the organization. Nowhere did STO succeed in creating the independent workers’ organization which stood at the center of its political theory. All of the revolutionary socialist groups on the left in the 1970s were attempting to build a revolutionary party out of their work in industrial workplaces. The STO experience might be compared to that of other leftist groups, mostly Maoists, that ran their members for election as union steward, built local union caucuses, and participated in broader union movements, such as Steelworkers Fight Back, a caucus that supported Ed Sadlowski’s campaign for president of the United Steel Workers (USW) in 1977. Local union and national campaigns gave activists an opportunity to talk not only about shop floor issues, but also about the large issues facing the union, the industry and the society. When workers found their shop floor work had an impact on union policy and relations to the employer, they achieved power, as well as a greater sense of their own power, and often also improved their wages, working conditions, and benefits. The most successful among the left organizations in such union work was IS, which was involved in initiating such caucuses in the United Auto Workers, the Communications Workers of America, as well as participating in such caucuses in the American Federation of Teachers and the USW. Most significant of these experiences was the IS’s role in establishing Teamsters for a Democratic Union (TDU), a long standing caucus in the Teamsters union. The IS also initiated Labor Notes, the union reform newspaper and education center with biannual conventions that attract a thousand union activists each year. While the IS initiated these projects, they were never conceived of as socialist projects and from the beginning were independent (autonomous) organizations with their own leadership, organization and resources, and programs. The collapse of the social movements of the 1970s (among African Americans, Latinos, women and students) and the end of the recent period of labor militancy with the recessions of 1974-75 and 1979-80, accompanied by the country’s right-wing administration under Ronald Reagan and depoliticization of the society, made the task of relating labor work to socialist ideas and organization a challenge for all of those on the left, with no simple answers. Throughout that first five years of labor organizing, STO had constant interactions with African American and Latino workers and leftists, but its white skin privilege theory proved of little use in building alliances between white workers and workers of color, and STO could never decide if it should recruit people of color to their own organization, or urge them to join an African American or Latino socialist group. STO literature often challenged white workers to give up their white skin privilege and to support the demands of African American and Latino workers, but in practice it was not always clear what this would actually mean. Most other left groups viewed STO’s white skin privilege theory as liberal and moralistic; in any case, it proved no guide to action. Based on Staudenmaier’s account, African American and Latino organizations and leaders appear to have been mystified by STO’s theory and practice. The few African American workers who joined STO during this period left in the splits. By the mid-1970s, STO was reduced to six members. In 1976 STO decided that the economic and political climate was at a “lull,” suggesting that workplace organizing would not be possible for some time. The group therefore should turn its attention to theory, education, and work in the anti-imperialist movements. (This is very similar to the notion of the “downturn” developed by Tony Cliff of the Socialist Workers Party of Great Britain in 1978 and then the International Socialist Organization of the United States shortly afterwards.) So in 1977 Ken Lawrence developed the STO’s mandatory “Dialectics Course” with reading from Hegel, Marx, Lenin, Luxemburg, Gramsci, Luckacs, C.L.R. James and Mark Twain (yes, that’s the same Mark Twain you’re thinking of). STO members would take a week off work and political activities to go out into the country for these sessions in which all members participated, first as students and then as instructors. The “Dialectics Course” helped to give the STO a reputation as one of the most intellectual and theoretical groups on the left. Puerto Rican Socialist Party at a demonstration. 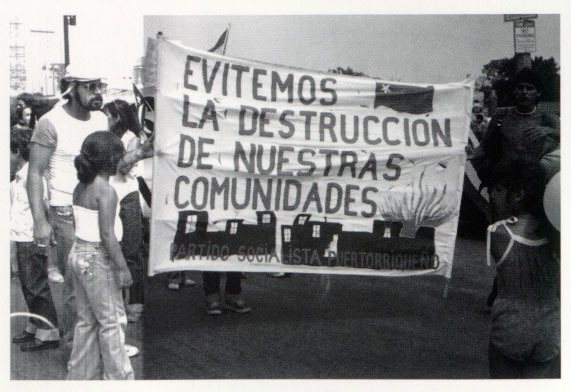 Most of the group’s work at this time was in support for anti-imperialist struggles, particularly the struggle of Puerto Rico for independence. STO worked at first with the Puerto Rican Socialist Party (PSP), a Marxist-Leninist party in Puerto Rico and the United States, closely aligned with Cuba. STO eventually, however, became part of the National Liberation Movement (MLN), a collection of left groups that supported the Armed Forces of National Liberation (FALN), a Puerto Rican group that set off 120 bombs in Chicago and New York between 1974 and 1983. STO members believed that they had to support the Puerto Ricans struggle against imperialism, including the armed struggle. While STO sometimes differed with the FALN and other Puerto Rican groups, it would not make its political difference public because of the repression that the armed movement and other Puerto Rican organizations were facing. Consequently, STO’s own political positions became completely lost in its unconditional and apparently uncritical support of the MLN and FALN. Also, like some other left groups, STO took a position of support for the revolution in Iran, including initially backing the Ayatollah Ruhollah Khomeini who ultimately brought the right-wing Islamic dictatorship. Similarly, STO found itself becoming an unconditional and uncritical supporter of Central American revolutionary movements during the period of its participation in the solidarity groups such as the Committee in Solidarity with the People of El Salvador (CISPES). Throughout the years of this work, Staudenmaier explains, STO’s member worked frantically, rushing from one crisis to another, from one organization to another, until in the frenetic race from one emergency to another some in the group felt that they lost sight of their own identity and objectives. After five years of work in the anti-imperialist movements, STO changed its direction once again, this time to tendency building and an emphasis on direct action. STO had had a wealth of organizing experience, and despite being unable to point to many significant victories, its core ideas-—independent workers’ organizations and white skin privilege-—had become attractive to a number of organizations in cities in the Midwest and in some other areas of the country, most notably Denver, Colorado, and Portland, Oregon, though there was also an attempt at organizing in Mississippi. Led by STO, these local collectives now put their energies into the anti-war movement that had developed against Ronald Reagan’s wars in Central America and into the new anti-nuclear movement led by the Clamshell Alliance. STO was attracted to these movements because of their commitment to direct action, though appalled by their pacifism and opposition to violence, and frustrated by the middle class, white composition of the movements. 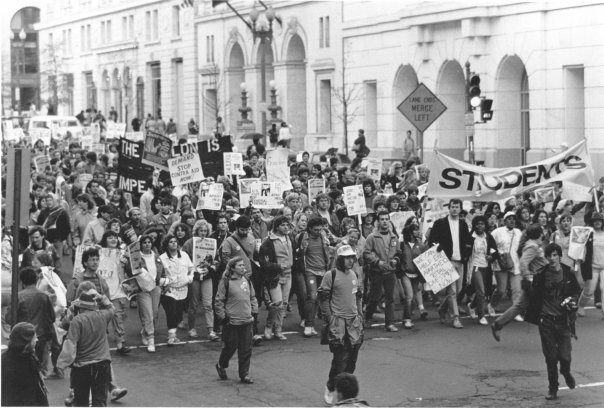 Student contingent at a 1987 rally led by CISPES against South African apartheid and US imperialism in Central America. The attempt to build a national tendency eventually failed for several reasons. Since its founding in 1969 STO had been plagued by what Staudenmaier calls “informal hierarchies,” that is, a small group of the original founders-—Hamerquist, Ignatin, Travis, Lawrence, and a couple of others—-dominated the group whether or not they held formal office. They tended to develop the positions, write the documents, maintain contacts with local and national organizations, and determine the course of the group. STO failed throughout its history to establish democratic structures and processes and that both undermined its own functioning and proved an obstacle to establishing a national tendency. Then too, STO’s core theoretical concepts—-independent workers’ organizations and white skin privilege—-seemed to be unrelated to the group’s work in the anti-war and anti-nuclear movements in the 1980s, work which had little to do with the workplace or with winning white workers from their racism. Finally, demography was a real factor: many of the group’s members were aging, a few were parents with responsibilities for their children, and others, having left the industrial workplace, were moving on to other careers. (Ignatin, for example, born in 1940, turned 45 in 1985, and left the group a year before it died.) While STO had been interested in building an international tendency in the 1980s together with the autonomia groups in Italy and Germany, the debilitation of its own base in the United States made this impossible. After STO withered away in 1986, several of its leaders went on to have interesting jobs and professions in other areas. Carole Travis, breaking with STO’s historic opposition to taking union office, became the president of United Auto Workers Local 719 at the GM Electromotive plant, serving three terms (nine years), and later went on to work for the Service Employees International Union as Director of the Illinois State Council for thirteen years. Most recently she participated in the Occupy movement in both Zuccotti Park and Oakland. Michael Goldfield became a professor of labor history at Wayne State University in Detroit focusing his research on workers’ movements and labor, and in particular on the failure of the labor unions to organize the South. Noel Ignatin became a professor at the Massachusetts College of Art, best known for his book How the Irish Became White and for his journal Race Traitor. The Sojourner Truth Organization’s survivors and successors have put its digital archives on the net, with as complete a collection as possible of its journals, newspaper, and pamphlets. Many of the former STO members retain their revolutionary socialist worldview and continue to contribute to movements as they have in some cases for fifty years. Sojourner Truth Organization represented only one of dozens of groups and involved only hundreds of the thousands of leftists who, in the period between the late 1960s and 1980s, were involved in attempts to build revolutionary organizations. American economic and political power, police repression, and the difficulties of developing a political theory and practice appropriate to the United States led all of those efforts to fail. In 1979-1981, most of the Maoist groups collapsed; the Socialist Workers Party, the largest Trotskyist group, after a belated and brief attempt at entering industry and the unions, evolved into a Castroite sect; the International Socialists split three ways between 1978 and 1979, and the New American Movement majority gave up its revolutionary vocation and merged with the Democratic Socialist Organizing Committee (DSOC) to form the Democratic Socialist of America (DSA). The STO suffered the common fate that befell what we can call the Generation of 1968. After finishing Staudenmaier’s book, three points stand out in my mind. First, STO never succeeded in developing the democratic structures and processes necessary for an effective political organization. Second, STO’s two core theories-—white skin privilege and independent workers’ organizations-—never proved a guide to action. They did not accurately describe the nature of workers’ movements in the labor unions with their particular relationship to capital, nor did they adequately capture the nature of American racism in such a way as to guide the work of activists. Third, STO’s healthy concern about the autonomy of mass movements, workers’ organizations, and the struggles of African Americans and Latinos never emerged as a clear theory of any sort. While it always considered itself Leninist, STO never succeeded in describing the relationship between a revolutionary organization and the way it should relate to the movements in which it operates. What lay behind the STO’s white skin privilege and union abstention theories? I suspect that STO’s theories were rooted in their attempts to grapple with the strengths and weaknesses of the Communist Party out of which either they or their parents had come. The white skin privilege theory expressed their profound frustration with the widespread racism of white workers—which had become so palpable South and North during the Civil Rights movement and the War in Vietnam—-and which proved so obdurate. The Communists—-despite the remarkable work they had done (not without its serious problems created by the vicissitudes of the Stalinist era, but better than everyone else’s), despite their often brilliant and courageous African American cadres, and despite their remarkable and also courageous white fighters against racism—-had not been able to turn the corner on the issue in a big way on a national scale (organizing the South being the big unfinished job as Goldfield has pointed out), though they did a remarkable job in various places during the CIO period. The race problem in America is just so terrible and so intractable. And then, of course, the Communist Party had by the late 1930s become tied to a strategy of trying to ally with or to penetrate the union bureaucracy, a policy which had further distorted its own Stalinist politics. STO leaders like Hamerquist, Ignatin, and Travis attempted to think their way out of these problems by developing critical theories of white racism and the nature of the labor bureaucracy, which is to their credit. But in the end, those two theories, this self-definition, failed to serve as a guide to action and also became so important to the group’s sense of its unique identity, that theory formed a barrier to practice, that is, to mass work, recruitment, and ultimately to the group’s survival. Others include: Max Elbaum, Revolution in the Air: Sixties Radicals turn to Lenin, Mao and Che (New York: Verso, 2002); A. Belden Field, Trotskyism and Maoism: Theory and Practice in France and the United States (New York: Praeger, 1988); Fred Ho et al., Legacy to Liberation: Politics and Culture of Revolutionary Asian Pacific America (AK Press, 2000); Milton Fisk, Socialism from Below in the United States: The Origins of the International Socialist Organization. Fisk’s book is really a history of the International Socialists (IS) up to the founding of the ISO. There are also many memoirs of revolutionary activists of the period now available. Dan La Botz, “The Tumultuous Teamsters of the 1970s,” in Aaron Brenner et al., eds., Rank and File Rebellion: Labor Militancy and Revolt from Below during the Long 1970s (New York: Verso, 2010). See also Dan La Botz, Rank and File Rebellion: Teamsters for a Democratic Union (New York: Verso, 1990). Thanks to Jeffrey B. Perry for taking the time to respond as such length to my review. I appreciate him clarifying the original authorship of the “white skin privilege” concept, which, I agree (as I noted in my article) was first used by Ted Allen. Perry, basing himself on Allen’s own argument, make the important point that racism was damaging to white workers and to the white working class. At the same time, it is obvious that “white skin privilege” provided immediate, short term, and ultimately consciousness distorting and disfiguring benefits to whites in the area of labor (employment, wages, promotion), in the area of society (less police harassment, arrests, convictions, beating, lynchings), and in politics (right to testify as a witness, right to sit in a jury, right to vote, stand for office). Obviously we would not be discussing “privileges” if there had been no benefits. The real issue posed to the left was how to overcome racial prejudice that often among whites became racial hatred, a process which required not simply the slogan “black and white, united ad fight,” but support for African American demands for economic, social and political equality. The achievement of equality necessitated a recognition of the right of African Americans to self-organization both within society, labor unions, and left parties, as well as a self-conscious policy among African American allies of supporting affirmative action in all areas. The issues are parallel for Latinos in the United States, especially in the Southwest. Similar approaches prove to be important in overcoming male privileges over women and straight privileges over LGBT folks. While definitely not the same, the problems of oppressed groups prove to be analogous, and the touchstone of the political problems can be found in the notion of self-emancipation, even if it proves that self-emancipation of the working class, African Americans, Latinos, immigrants from everywhere, women, LGBT folk and all of us also means collaboration and the building of working class movement with a humanistic and emancipatory consciousness. The symposium on Insurgent Notes is great. I urge those interested in STO and the left of the time to look at it. First I tried to make clear that, based on the historical record, Theodore W. Allen pioneered the “white-skin privilege” analysis in 1965 and he was the originator and principal developer of the theory. Third, I tried to call attention to the importance of Allen’s writings, particularly the new Verso Books publication of his two-volume, magnum opus The Invention of the White Race, which is due out in November. As I understand La Botz’ response to my posting, he accepts my first and second points on Allen’s pioneering role and that Allen did not consider “white-skin privileges” as a benefit. Regarding my third point — I do not read La Botz’ response as one that encourages the reading of Allen. I feel that is unfortunate because, as I stated, Allen was a major anti-white supremacist working-class intellectual/activist whose writings have much to offer us today. I am not alone in this sentiment. I encourage people to read the comments on Allen’s work by such scholars and labor, left, and anti-white supremacist activists as Bill Fletcher, Jr., Audrey Smedley, Tim Wise, Roxanne Dunbar-Ortiz, Gene Bruskin, Tami Gold, Muriel Tillinghast, Joe Berry, George Schmidt, Noel Inatiev, Carl Davidson, Mark Solomon, Gerald Horne, Wilson Moses, David Roediger Joe Wilson, Charles Lumpkins, Michel Zweig, Margery Freeman, Michael Goldfield, Spencer Sunshine, Ed Peeples, Russell Dale, Gwen-Midlo Hall, Sam Anderson, Gregory Meyerson, Younes Abouyoub, Peter Bohmer, Dennis O’Neill, Ted Pearson, Juliet Ucelli, Stella Winston, Sean J. Connolly, Vivien Sandlund, Dave Marsh, Russell R. Menard, Jonathan Scott, John D. Brewer, Richard Williams, William L. Vanderurg, Rodney Barker, and Matthew Frye Jacobson. Here is where I think that Allen’s anti-white supremacist, class-conscious historical analysis is particularly instructive. Allen is talking about European-American workers, not about the “white” ruling class and not about the multi-class formation “whites” that La Botz says accrue “benefits.” Allen historically details how ruling-class “whites” benefit from the system of “white-skin privileges” – it is in their class interests. He is emphatic, however, that for European-American workers, “white-skin privileges” are not in their interest and they should be challenged. 1. The “white race” was invented as a ruling class social control formation and a system of “racial slavery,” a form of racial oppression, was implemented in response to labor solidarity as manifested in the latter (civil war) stages of Bacon’s Rebellion (1676-77). 3. The consequence was not only ruinous to the interests of the African-American workers, it was also disastrous for “white” workers. The more complete version of “White Blindspot”, with the three components and including Allen’s “Can White Workers/ Radicals Be Radicalized?” is available online and is also available as a link on my webpage in the section “Theodore W. Allen (with audio and video links)”. I very much encourage people to read it. “Can White Workers/Radicals Be Radicalized?” takes up a number of issues that I think should be of special interest to readers today. He then focused on what he described as “two basic and irrefutable themes.” First, whatever the state of class-consciousness may have been most of the time, “there have been occasional periods of widespread and violent eruption of radical thought and action on the part of the workers and poor farmers, white and black.” He cited Black labor’s valiant Reconstruction struggle; the Exodus of 1879; the “year of violence” in 1877 marked by “fiery revolts at every major terminal point across the country”; the period from “bloody Haymarket” in 1886 to the Pullman strike of 1894 during which “the U.S. army was called upon no less than 328 times to suppress labor’s struggles”; the Populists of the same period when Black and white poor farmers “joined hands for an instant in the South” and when Middle Western farmers decided to “raise less corn and more hell!”; and the labor struggles of the 1930’s marked by sit down strikes and the establishment of industrial unionism. In yet another section of “Can White Workers/Radicals Be Radicalized?” (and in another section of “A Letter of Support”) Allen offers additional insights that should be of great interest to contemporary readers. Allen was a very serious and principled proletarian scholar and he tried to honestly identify and address objections people might have to what he was saying. As he would later do in his major work, “The Invention of the White Race,” Allen put forth arguments that might be raised by those who challenged what he said, and then sought to address those positions in an informed and principled way. Allen’s responses to the four arguments against and to the five artful dodges still have great relevance today. His responses can be found online in “‘White Blindspot’ and ‘Can White Workers/Radicals Be Radicalized?’ ‘. In another effort to stimulate the reading of works by Allen, I encourage readers to go directly to that site to read them in their entirety. 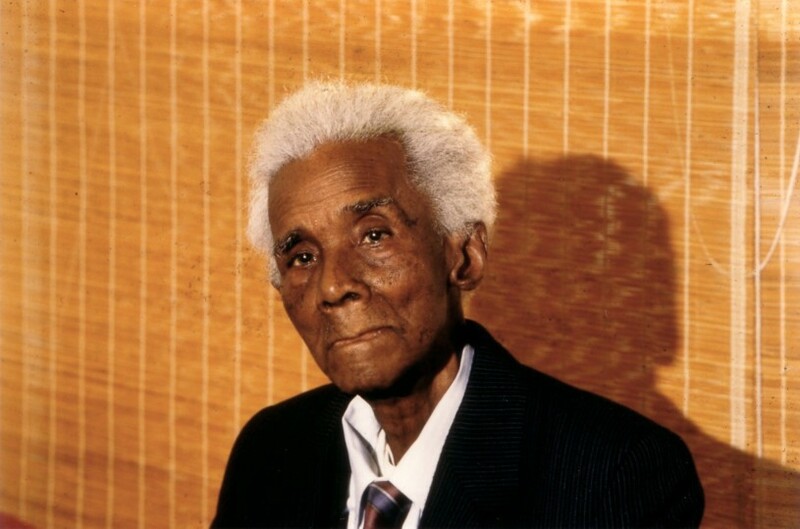 The anti-white supremacist, working class intellectual/activist Theodore W. (Ted) Allen (1919-2005) was one of the most important writers on race and class in twentieth-century America. His seminal, two-volume magnum opus, The Invention of the White Race, which is being published in a new expanded edition by Verso Books in November 2012, is increasingly recognized as a classic and his writings have much to offer us today. For a host of reasons, however, Allen’s writings have often been inaccurately described, improperly cited, and ignored rather than having been read, engaged with, and given the serious attention they merit. It is with the aim of encouraging engagement with Allen’s work in mind, and in a fraternal spirit, that I offer the following comments in response to Dan La Botz’ statements about Allen. As documented and discussed in my 2010 Cultural Logic article “The Developing Conjuncture and Some Insights From Hubert Harrison and Theodore W. Allen on the Centrality of the Struggle Against White Supremacy (esp. pp. 8-9, 31-34) the record is quite clear that Theodore W. Allen pioneered the “white skin privilege” analysis in 1965 and that he was the originator and principal developer of the theory. 2. Regarding La Botz’ statement that Allen argued that “white skin privilege” was a set of “benefits” that “accrued to those determined to be white” — this is simply not what Allen argued. He emphasized that the ruling class deliberately instituted and maintains a system of “white skin privileges” (in their class interests) for purposes of social control. First, racial slavery and white supremacy in this country was a ruling-class response to a problem of labor solidarity. Second, a system of racial privileges for white workers was deliberately instituted in order to define and establish the ‘white race’ as a social control formation. Third, the consequence was not only ruinous to the interests of the Afro-American workers but was also ‘disastrous’ . . .for the white worker. Clearly, Allen consistently argued that “white skin privileges” are not “benefits” – rather, they are ruinous to the class interests of European-American workers and all workers. This is a wonderful review by Dan Labotz–I’m ordering the book right away. Let us hope that veterans of the I.S. and other revolutionary organization will provide us with studies as rich, candid, and well-documented as this one appears to be. We have published a symposium on Staudenmaier’s book in the new issue of Insurgent Notes (http://insurgentnotes.com). It includes contributions from members of STO, younger activists influenced by the organization and a response by Mike.